Resolution of accident settlement claims is one of the key things law firms are supposed to do. Sadly, this is not the case as it is either not properly done or these firms are too pricey. This is very bad because victims of car and motorcycle accidents already have a lot to cope with. Hence, it is practically unethical adding to their worries and problems. Law firms are supposed to provide succor and that is what we have set out to do at Rawa law group.Involvement in an auto crash is a harrowing experience. There is nothing positive to report about it. It may lead to amputation of key parts of the body or outright paralysis. A lot of money is also spent in the hospital to pay for surgeries, drugs, and other forms of medications. After an auto crash, so many expenses are incurred and this has increased the need to compensate accident victims. 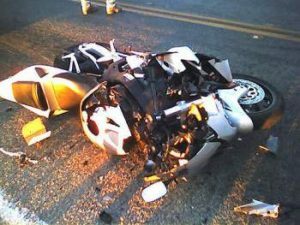 As long as they seek an excellent motorcycle accident attorney in Glendale to legally represent them, we are at their service. Rawa law group is a top quality legal outfit. We offer superior five-star legal services to accident victims seeking to get compensated. We do this at no extra cost to our clients as we only get paid when we win your case. Our team of motorcycle accident attorneys fights till the end to recover all or part of your settlement claim. The first thing we do is to garner enough information from the victim. We do this by either paying you a visit at home or in the hospital. Appointments can also be booked based on your own schedule and availability. Over the years, we have recovered hundreds of millions in settlement for our clients and maximizing your accident claim settlement is our goal. Another benefit of choosing us is that you enjoy personalized representation and individual attention as well as personal, one-on-one attention from a qualified lawyer. In our over 55 years of combined legal experience, we have offered and will continue to offer relentless, tireless, advocacy for injured victims of motorcycle accidents. If you or a loved one need to get across to us, do not hesitate to reach us at the address listed below.